White Sharks and Cephalopod Prey: Indicators of Habitat Use? "The great white shark remains an enigma: it is simultaneously poorly understood and heavily studied. 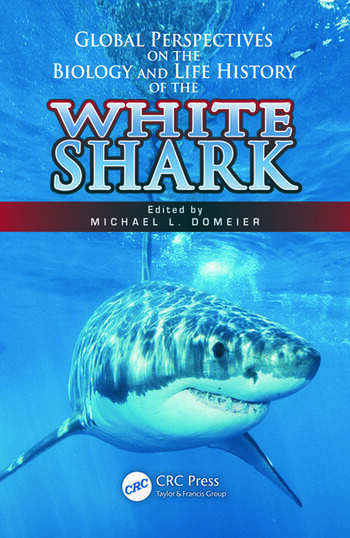 Editor Domeier (founding president, Marine Conservation Science Institute) is likely correct in his claim that, "With the publication of this book, White Sharks have earned the title of the most studied shark in the ocean." Each of the 32 chapters could easily stand alone as a scientific publication in a quality journal. The chapters are organized into three sections: "Biology, Behavior, and Physiology"; "Migratory Patterns and Habitat Use"; and "Population Monitoring, Policy, and Review." For lay readers, most of the chapters cover too much minutiae to be of general interest (e.g., oxygen consumption rates, muscle contaminants, population connectivity). 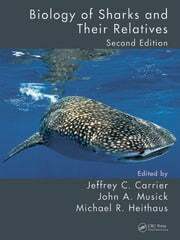 However, nonexpert readers will appreciate chapters on dispelling myths about the true maximum size of this species, experiences keeping them captive in a public aquarium, and details of shark attacks. Ultimately, this is a book about one subject, Carcharodon carcharias, written by, and for, researchers of that species. It is most certainly a wonderful scholarly work, and although it is not Jaws, it does this amazing, threatened creature more justice than any prior scientific work. Summing Up: Highly recommended. Graduate students, researchers/faculty, and professionals." "Each chapter is written by a different group of scientists and represents original peer-reviewed research. An enormous variety of research is covered, including physiology, behavioral ecology, diet, toxicology, migratory patterns, hunting behavior, historical fisheries, and policy implications. Some of the discoveries discussed in this volume…represent a drastic change in how scientists think about great whites- for example, recent satellite tagging has shown that they are primarily an open-ocean species and engage in huge migrations. 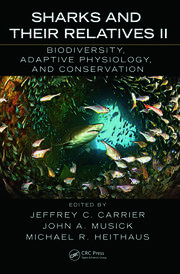 As great whites are one of the best known, best studied, and best protected species of sharks, I’m pleased to see such an excellent volume focusing exclusively on them."